Cecilia Bartoli and Antonio Pappano celebrated Mozart’s 261st birthday with a concert in Rome. Pappano was conducting his orchestra and chorus of the Accademia Nazionale di Santa Cecilia at the Parco della Musica auditorium, which is Bartoli’s choice venue on the few occasions when she sings in her home town. Bartoli wore a black frock coat and trousers with three differently coloured renaissance shirts: two arias for castrati, Exultate, jubilate and Sesto’s first aria from La clemenza di Tito, and the concert aria Chi sa, chi sa qual sia saw her in blue, then white and then red jabots. For the concert aria Ch’io mi scordi di te (written for Nancy Storace) she wore a bottle-green gown. If a primadonna pays attention to historical detail of her outfits, then imagine the detail in her singing. That’s Cecilia Bartoli; she leaves nothing to chance. Plus, she has that undefinable something that transforms a concert into a one-woman show. It’s enough that she comes on, smiles, winks, sings three notes, and she’s already won over her audience. La Stampa’s Alberto Mattioli interviewed Bartoli and Pappano a few days earlier. One word to describe Mozart’s music? Mattioli asked why the most famous Italian singer rarely sings in Italy? AP: Perhaps because Cecilia has created her musical world that isn’t one that is very well known in Italy. Not everyone is equipped to appreciate her choice of repertoire. CB: I agree. I have always sung music from the pre-Romantic era which is more appreciated abroad than it is in Italy. I think, though, that now things are changing here. I would love to sing Handel in Italy; Alcina maybe, which we’ve just done in Zurich. If anyone wants it, I’m available! After mentioning her two new opera roles that she will be singing at the next Whitsun Festival in Salzburg – Handel’s Ariodante and a concert performance of Rossini’s La donna del lago – she was asked about other future projects. My next project is with Sol Gabetta [the Argentine cellist] and we’ll make a cd and go on tour with a programme of Baroque cantatas for voice and cello. I hope we’ll come to Italy too. Then I’ll spend time with the orchestra that I founded, Les Musiciens du Prince, where I want to recreate the Baroque bands of the 18th Century courts. Prince Albert and Princess Caroline are very enthusiastic about this, so we formed the orchestra in Monaco. There’s also a tour coming up with Rossini’s Cenerentola. I gave Pereira some dates, but La Scala wasn’t free when I was. I really hope that I’ll be able to give a concert at La Scala. If they call, I’m here! Bartoli is still ‘la Bartoli’. Volume, as we all know, has never been her strong point, and may have even been a little weaker, but her voice was projected so well that it quite ‘ran’ around the large auditorium in Rome. Maybe there’s some caution when hitting the high notes, but the rapid paced agility is daring and thrilling, the echo effects are stunning, phrasing is always inventive, and her musicality is exceptional. Above all, Bartoli has not lost, on the contrary, she has refined, the most intriguing (and less Italian, which perhaps explains why, paradoxically, in Italy she is liked less than in the rest of the world) of her qualities: the skill in playing with the colour of her voice. It is not just the very large dynamic range, from pianissimo to forte and back. 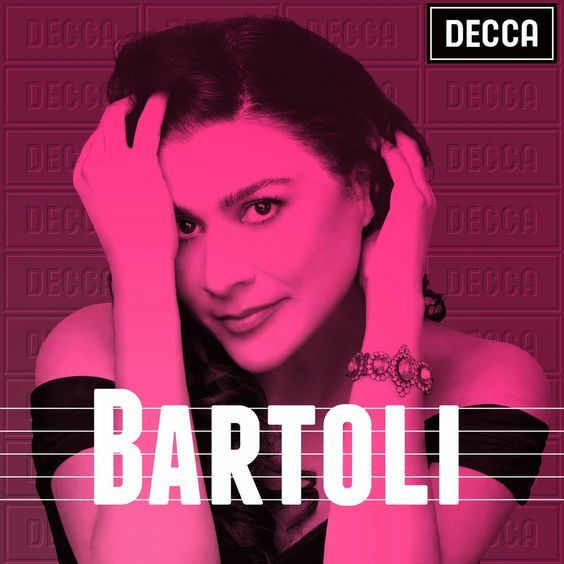 It’s the fact that Bartoli can come up with a different sound for each note and each word, giving them an expressiveness which is rare… Certainly the line between this and affection is a fine one, but it is a line that Bartoli never crosses. She carefully judges how much each phrase can take, melodramatic in the right way and never in bad taste. It gives each interpretation its own unique intensity and explains why her global fame is well-deserved and why her every appearance becomes an event.